This is an edited version of the funeral homily given by Fr Tom Ryan SM. John Jago was born in Grafton, NSW, the first of five children. After completing his schooling at St John’s College, Lismore, he studied law at the University of Adelaide, then practiced law in Sydney for five years. In 1961 he entered the seminary. After his ordination in 1967 he studied Moral Theology at the University of Fribourg, Switzerland. He was asked to return and join the staff of Marist College, Burnie in 1971 and was the principal there from 1973-78. During that time, he completed his S.T.D. for his dissertation on J.H. Newman, Freedom of Conscience and Vatican II begun earlier in Fribourg. In 1979 he lectured in moral theology at the Catholic Theological Union, here at Hunters Hill, Sydney. 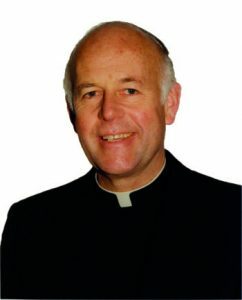 John was appointed provincial superior of Australia and Japan for six years from 1979. From 1985-93 he served as Superior General of the Society of Mary based in Rome. From 1994 until 1999 he was part of the community and ministry at St. Patrick’s, Church Hill. In 2000 he joined the Ashgrove-Herston community where he undertook retreat, reconciliation and moral advice work. John was diagnosed with cancer in 2005 and retired from active ministry in 2006. In St Peter’s letter we read: “anybody of any nationality who fears God and does what is right is acceptable to him.” Here, at the very beginnings of the Christian story, we find an awareness that God’s grace works beyond the boundaries of the Church. I suggest this was a conviction central in John’s life – personally and as a theologian. John’s doctoral research was on conscience – its place in our lives and in God’s dealings with us. It was foundational for John that God respects the dignity of the person, and trusts us to make judgments and to use our talents. Twenty years of John’s life as a Marist priest involved public leadership, in Australia and in Rome. In John’s mind, true leadership enabled and encouraged leadership in others – at the local, community and individual levels. It’s really the principle of subsidiarity when we think about it. John brought his considerable ability but also a certain graciousness to his leadership. There was also an associated capacity for sensitivity and warmth in collaborative relationships beyond the Marist family, particularly, with groups of religious women. For instance, at Marist Regional College, Burnie, John and Sr. Cecelia Bridgman, RSM provided a very effective model of shared leadership – one, where they genuinely got on well together. That, in itself, set a tone, a model, for the staff and students. He never lost interest in politics, current affairs, legal issues, theology or the Church. His letters as Superior-General reflected his grasp of trends and issues within the Church and the broader global and secular context. John was always a reader – books, journals, history and biographies. With retirement, John had more time to enjoy Michael Connelly’s books and characters such as Harry Bosch! Finally, I’ve left John’s Marist life to the end, deliberately so. John lived very simply. He had clarity of focus and determination that goes with character. He strove for daily, devoted companionship with Jesus who is ‘the Way, the Truth and the Life’. Community prayer, the eucharist, divine office, personal space for being with the Lord – these were the basics, the non-negotiables. Nothing spectacular. Very unobtrusive. Just turning up really - as he did with other aspects of community life. In the Code of Canon Law, the very last canon 1752 ends with five (Latin) words literally translated as ‘Let the supreme law be the salvation of souls’. We now hand John over to the Risen Lord for his saving and healing love to complete his transforming work in John Jago - priest and Marist.